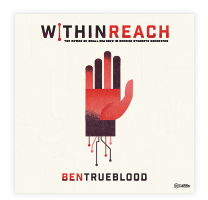 Have you reached every middle and high school student in your community or are there still more who need to know Christ? How you answer that question is a good indicator of the type of ministry you lead. R – Relate to all age groups. Be careful that you do not just lock in on the young, active adults in your church. Some of your more seasoned church members can be strong prayer warriors and can bring some wisdom and stability to ministry situations. E – Encourage. Encourage. Encourage. If you are a genuine encourager, it will draw people to your team. If people in your church hear you dogging volunteers/pastor/staff, etc., the ones you would want on the team will stay away. The negative, back stabbers will be drawn to you. Be an encourager. C – Cease trying to do it on your own. Lone Rangers will not last long. Be careful that you do not answer “no” for people that you have not asked. Be looking for people who understand the mission, love Jesus and students. Stop deceiving yourself in thinking you do not need help in ministry. R – Run the gamut. If Jesus was wise enough to choose a team of people who had different life experiences, you should too. He chose a tax collector and a non-government guy to be on His team of disciples. I am sure some of those fire side chats were pretty lively at times. 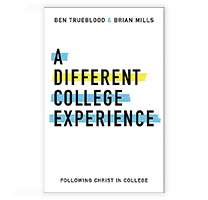 Students need adults from different life experiences in their lives. Choose from a large pool of people with various life experiences. U – Unite under the mission. Never invite someone to be a part of the team without first clearly stating and helping them understand their role in the overall mission of your student ministry. Sometimes volunteers do not do well because we did not clearly help them understand what they are signing up to do. 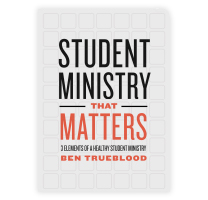 I – Invite potential student ministry volunteers to be around students and observe them in action. This one swings both ways. We want adults to see how students really are and we want to see how potential volunteers react to students. Once someone has committed, invite them to be part of the team. Clearly state their role and what you expect of them and commit to resource them as their leader. 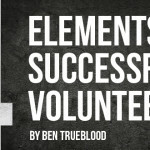 T – Tell your potential volunteers that it is not an assignment for life. Tell them how important positive adults are in the lives of students. Tell them that you will resource throughout their entire tenure as a student ministry volunteer.